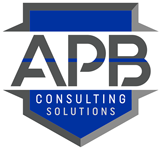 APB Consulting Solutions provides quality services to our clients by combining consultants who are experts in their fields, with solutions tailored to meet the needs of our clients in both the private, and public sector. APB provides a wide variety of services from educational classroom curriculums, to in depth professional consulting services tailored to increase safety, productivity, and efficiency for our clients, and their employees. APB owners and staff have over century’s worth of Law Enforcement and Military experience, and training background. Our consultants have trained tens of thousands of individuals throughout their careers, and are committed to providing the highest level of personal, and professional services to meet the needs of your business. Let us help keep your employees, staff, customers and business SAFE!